I just want to see my dog! Light and airy don't mean it's faster! In this week's issue of WServerNews we'll share some of the feedback we've received concerning Issue #1117 Fashion over function of our newsletter where we examined the recent trend in web and software development to focus on style over usability, or as clothing designers and architects say, fashion over function. We'll also share some of the recommendations we received from our readers concerning the Ask Our Readers question in Issue #1117 where a reader named Wayne asked if anyone could suggest an application that allows access to the clipboard history on Windows computers. And of course we have some tips, tools, news and tech links, and fun stuff to keep you from getting bored as you verify your organization's last three months of backups are still accessible. Has anyone got any decent suggestions for a basic widget or application that allows access to clipboard history? I find that many times I am editing databases with the same information and use ctrl-c/ctrl-v a lot, but I would like to be able to save information on the clipboard so that I can re-use it. I have tried Ditto but found it a little awkward in use. Ditto for sure, easy to use, fast and free. I recommend ClipCache Pro. I have used it for many years. However, since MS no longer provides the MS Gadget store, installing new gadgets can be challenging unless you know where to go. 8GadgetPack works the same way that the MS version of Windows Sidebar did, including the file path. As before, it is possible to manually edit the %LocalAppData%\Microsoft\Windows Sidebar\Settings.ini file to your liking, including the ability to change opacity of individual gadgets (by adding a line for the PrivateSetting_GadgetOpacity setting in the specific gadget's section of the file). Gadgets are a dead technology but can still be used for things like clipboard history, for those that well educated about and are willing to accept the security challenges. Clipà.Vu and other software vendors provide non-gadget based alternative options for everyone else. I tried ClipX, Ditto, and ArsClip before settling on ClipX as I only need something simple. • Sometimes disappearing scroll bar in some Win10 windows. Not convenient if you want to see what part of a long page you are at. • Edge address bar. Unless I miss something, invisible address bar where I am supposed to enter an URL is reaaally annoying. Every time I need to enter an URL I am unsure where to click. That vertical thin bar isn’t always visible on all devices. This is one of the reasons I am still on IE11. Windows 10 has many examples where the developers changed a perfectly functioning setting to something they felt was cooler. Take changing the wallpaper or theme on your desktop. Windows 7/8.1 were very simple. Right click in the middle of the screen and go to Personalize. Pick your theme or wallpaper (picture) and off you go to the races. Fast forward to Windows 10…and let the frustration begin. Personalize now puts you into that "fantastic" *yes that's sarcasm* Settings area, where you now have to click on Themes then Theme settings to get to the window to choose a different theme. What used to be two clicks is now three. But what if you want to change just the picture to one of your kids, dogs, etc. Well, click on Desktop Background, which in Windows 7/8.1 used to let you into a screen to change the picture, now you're sent back to the Settings page and Background. For the non-computer tech, trying to figure out how to just add that picture of your dog/child/grandchild has just gotten a whole lot more complicated. My next example, and even more irritating, adding icons to the Taskbar notifications area. Once again, Windows 7/8.1, very simple. Click on the little white arrow down in the taskbar and choose Customize. Now in Windows 10, you have to click on the Action center icon (little white box), choose All Settings to open up the Settings page, and depending on which version of Windows 10 you have, because Microsoft decided to change this in 1607 from the 1511 version, you either go to System then Notifications and actions, and finally Select which icons appear on the taskbar or in 1607, you go to Personalization, Taskbar, scroll all the way down and choose Select which icons appear on the taskbar. Either version, two clicks just went to five. Someone explain to me how that's more efficient?? Sadly, Microsoft has gotten into the habit of changing things for the sake of changing things and not always for the better. I remember when Windows 8 first came out, I had to google how to shut down my machine! Yes, I'm shaking my head. It's akin to the old advertising adage that white space sells. As if to say an operating system that looks light and airy will perform faster. If only this were true. The fact remains that Windows 10 needs more Processor speed and memory than any of its predecessors even if it appears lighter. The quick lesson to learn from these examples is: These weren't designed for "You!" (aka "Us!"). The next generation is moving in and taking over the almighty "Key Demographic." All facets of life will be designed with them in mind. As for us, we get too placated in the cool Retro stuff. Don't try to make sense of it. Don't bother with comparisons or to determine which was better. No one cares. In mycompany I am watching the earliest Millennials starting to be promoted into management positions. It's time to adapt or die. I read this article and just had to laugh to myself. Back in the early 1990's, I worked for a company that created a networked ERP system for printed circuit manufacturing. The entire environment was built in Microsoft BASIC and ran in DOS (or DOS windows), and the code was served up by NetWare servers. Typical application size was 100-200KB, and navigating from one application to another was nice and fast. Fast forward a few years, and some of the developers there started replacing the DOS applications with native Windows 3.x interfaces, and application size ballooned to 2MB-5MB. Of course, users complained that moving from module to module (i.e. module load time) was inexorably slow and painful. What was the solution? Move from a 10Mbps Ethernet infrastructure to a 100Mbps network! Of course, some bloat is necessary, as different devices use different screen resolutions, and embedded graphics may be provided in multiple form factors to deal with this. But how big is TOO BIG? The simple matter is that the bloat will continue, and developers will simply use that time-tested response -- if your app loads slowly, get a better and faster network. The way to fix this? Make all developers work off a dial-up connection, and they will ensure that each app is as small and compact as possible. Your article was very well stated and I couldn't agree more!!! I have my own observations that are even more pointed, but if Microsoft and its defenders really got "into the trenches" they would realize how much disdain they have earned from those of us that use their products faithfully because they are so necessary. I have never written to you before but this article hit a bulls-eye issue so well that I just had to respond. Is there a "Trump" in the IT world that can shake up the "establishment?" (I have not implied an endorsement of Trump.) There is a need to "drain the swamp" of lousy software designs and bring back more practicality, compared to which "coolness" means nothing but is rather interference. Thank you again for stating what should not have to be stated. Old outlook and Outlook Express, were functional. Outlook on line and windows 10 mail are fashionable, but I have a real hard time seeing which emails I have are new or old, checking junk mail for mail I really want. Have yet figured out why I have to snyc all my computers to my Microsoft account. 30 days of saved messages does not get it. Had to go to online mail to find very important saved messages. Microsoft wanting to take everything mobile has destroyed desktop applications. They harp on security, and then fix it so if someone opens your desktop all email is available for everyone to see. Using a personal password you cannot use Microsoft apps. The best email application they ever had for personal use was Windows Live Mail. Your story about the gum wrapper in "Form Over Function" nearly duplicates the one I had this weekend sitting in a dark theater trying to open a package of Raisinettes. I usually wish I had a sharp knife to get into these things and gripe about the good old days when there was a proper, red tear strip on plastic wrappers. No amount of pawing at the seams will work for me so I end up asking my friends to open those boxes. Because it wouldn't hurt the look of a box of candy I thought the tear strip must have been abandoned because it saved them some miniscule amount of money to manufacturer, not because it would hurt "the look." Looking for enterprise mobility management advice? How about experience-based tips and tricks for devices, mobility, and security? Don't miss this practical course, led by Microsoft Solutions Professionals who have years of real-world experience. Go through these 10 modules with them, for an in-depth exploration of the enterprise mobility platform and what it covers. Start with a look at the Windows 10 Mobile Emulator, and then get the details on managing the Company Portal. Explore simplifying application management, and then dive into data protection. Learn about enabling protection for apps, along with paths to mobile app management (MAM) policies. Discover Kiosk Mode, Azure Active Directory, and mobile device management (MDM), and look into troubleshooting Microsoft Intune, plus much more, in this demo-rich course. There is only one stop sign in the whole of Paris. 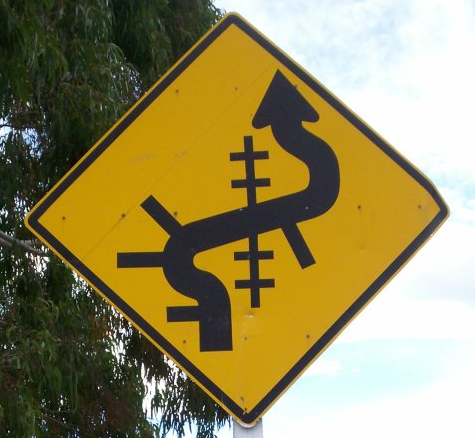 Question: What unusual road signs have you encountered in your own corner of the world? This one generated a lot of interesting feedback from our readers and we're including several pictures of signs they've seen for readers who might find the signs fascinating. Signs like the above - the image looks very much like a road sign I remember just south of Christchurch but didn't have the wits to photograph. Mentioning to a cashier that we felt bad about being slow (between gawking and the limits of our vehicle) and we were glad that we only had been passed by a half-dozen or so cars during our day's drive ... and being told that we were unlucky it was busy season! Backing up over a car that had parked behind us unnoticed as we were jetlaggedly checking in to our first camping spot ... and having the driver apologize to us and note that the bonnet was due for some fixing up anyway. Beautiful scenery, great people, we *will* get back there. 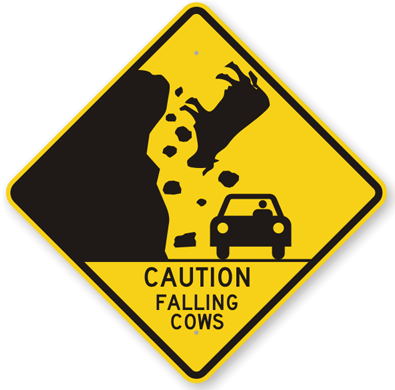 I thought it was a joke at first, but back in 2007, I saw a news report about a car being hit by a falling cow, hitting the hood and narrowly missing the car's occupants. Who would have thunk? While this is not a road sign, between English being a tricky language and translations causing difficulties: "The manager has personally passed all the water served here" certainly qualifies as unusual (in several ways). Fact: In 2013 in Turkey, thieves stole an entire 22 tonne, 82 foot metal bridge overnight. Question: Do you know of any heist that was more remarkable than this one? Join Veeam for an ESG-led webinar on why companies are choosing virtualization, and learn good automation and orchestration examples. There's no denying the dominance of AWS, Azure, and Google within the cloud market – offering a wide-range of services at compelling prices. But for some companies, these cloud giants may not offer the kind of speedy support and hand-holding they need to make the most of cloud. In this tip, learn how smaller or regional cloud providers offer a more attractive alternative. As admins design and operate a VMware Horizon View deployment using hyper-converged infrastructure with VMware Virtual SAN, they must remain conscious of its functions and limitations. In this tip, take a look at how this combination from VMware offers a storage-centric way to deploy virtual desktops. 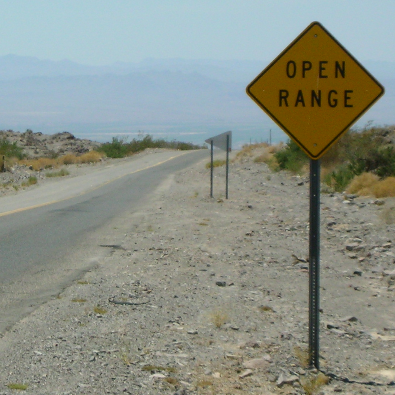 When it comes to the open source cloud computing market, OpenStack is leading the pack – but it still has a ways to go. In these five handy tips, learn more about OpenStack cloud computing platform, its strengths and shortcomings, and its future. In today's organizations, pressure for continuous application delivery and faster IT responses breaks the tension inherent in DevOps – and the cloud adds in another added layer of complexity. In this tip, explore the planning required to select DevOps tools to support cloud applications.